The partnership between Stance and Dwyane Wade continues on with the release of their Fall 2015 collection. Inspired by the art-deco style of architecture seen around Miami & classic stripes, the new Fall 2015 curated by Dwyane Wade for Stance continues to ride the vibrant wave seen since the partnership’s inception. Constructed with combed cotton and with 200 needle count stitching, these socks aren’t like a lot of the digital printed socks that are popping up all over; these are quality product. I am excited to launch my new collection paying tribute to a special city I call home…The collection captures the pulse and energy of Miami with its unique architecture, sophisticated style, and iconic design. 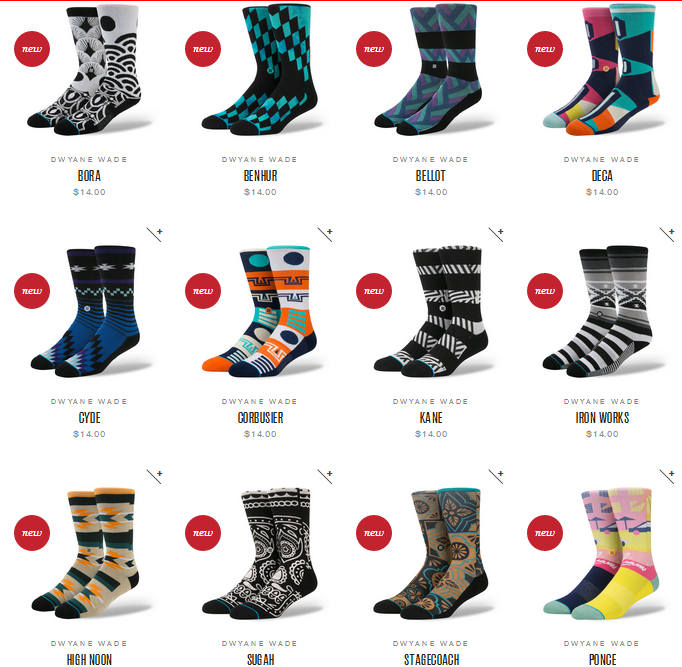 Even though the press release days 11 new socks came out, but there are 17 designs listed as new under the Dwyane Wade section and two of those designs have more than one colorway. All of the new Dwyane Wade x Stance socks for Fall 2015 season are available on the Stance webstore right now for $14 each.